University of California Press, 9780520293434, 352pp. A Vietnamese Moses is the story of Philiphê Binh, a Vietnamese Catholic priest who in 1796 traveled from Tonkin to the Portuguese court in Lisbon to persuade its ruler to appoint a bishop for his community of ex-Jesuits. Based on Binh’s surviving writings from his thirty-seven-year exile in Portugal, this book examines how the intersections of global and local Roman Catholic geographies shaped the lives of Vietnamese Christians in the early modern era. The book also argues that Binh’s mission to Portugal and his intense lobbying on behalf of his community reflected the agency of Vietnamese Catholics, who vigorously engaged with church politics in defense of their distinctive Portuguese-Catholic heritage. 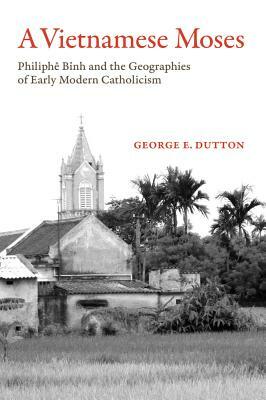 George E. Dutton demonstrates the ways in which Catholic beliefs, histories, and genealogies transformed how Vietnamese thought about themselves and their place in the world. This sophisticated exploration of Vietnamese engagement with both the Catholic Church and Napoleonic Europe provides a unique perspective on the complex history of early Vietnamese Christianity. George E. Dutton is Professor of Vietnamese History in the Department of Asian Languages and Cultures and Director of the Center for Southeast Asian Studies at the University of California, Los Angeles. "This fascinating book is a significant contribution to the field of Asian Christianity, mission studies, and Jesuit studies. It will be an important refer- ence of the complex history of early Vietnamese Catholicism." "Dutton skillfully relates the spiritual quest—the mission—of this first Vietnamese Jesuit through fresh eyes... panoramic."